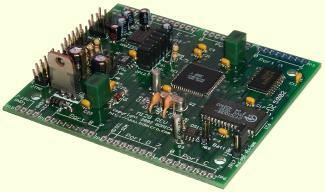 AVR Libc is a Free Software project whose goal is to provide a high quality C library for use with GCC on Atmel AVR microcontrollers. Together, avr-binutils, avr-gcc, and avr-libc form the heart of the Free Software toolchain for the Atmel AVR microcontrollers. They are further accompanied by projects for in-system programming software (avrdude), simulation (simulavr) and debugging (avr-gdb, AVaRICE). AVR Libc is licensed under a single unified license. This so-called modified Berkeley license is intented to be compatible with most Free Software licenses like the GPL, yet impose as little restrictions for the use of the library in closed-source commercial applications as possible. For more information on this project, try http://savannah.gnu.org/projects/avr-libc/. User Manual for the current stable release. Note: The files have been compressed with the bzip2 compression utility, as this saves a fair amount of space, compared to the inflate method used by old GNU zip and standard Zip. For the PDF documentation file, the space saving is about 20 % (or 100 KB). Recent versions of WinZip are supposed to be able to handle this compression method. Free binaries for many platforms are also available from the bzip2 home page. View the NEWS file of the most recent stable release. Outline of the major changes between the 1.7 and 1.8 release lines. Outline of the major changes between the 1.4 and 1.6 release lines. Outline of the major changes between the 1.2 and 1.4 release lines. Outline of the major changes between the 1.0 and 1.2 release lines. List info page for the avr-libc-dev developers list. List info page for the avr-gcc-list users list. List info page for the avr-chat users list. List info page for the avr-libc-commit CVS commit list. For a complete prepackaged Windows version of the toolchain, please see the WinAVR project. View the current AVR toolchain bug list. All the files in the download area are PGP signed by either Theodore A. Roth or Jörg Wunsch to allow verification of their authenticity. Their public keys are available at either of these keyservers.